There is no better way to build our organization’s tennis programs than by being a USTA Organization Member! As a USTA Organization Member, your organization will enjoy a host of benefits that will put your tennis program in a whole new league. You will be able to conduct official USTA sanctioned tournaments, receive special travel discounts, and obtain top tennis publications. Org Members play a critical role in reaching new tennis enthusiasts and maintaining the traditions of the sport. Conduct tournaments that are officially sanctioned by the USTA. 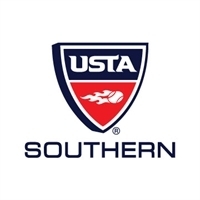 Use the USTA name and logo to promote these events (subject to USTA requirements and approval). - Tennis Teachers Conference: Receive 10% off the conference registration fee. Held annually in New York City during the US Open, it is the premier education event for tennis coaches and instructors worldwide. - Community Tennis Development Workshop: Receive 10% off the workshop registration fee. Held in a different city each year, this event on community tennis programming, administration and development attracts hundreds of tennis leaders, instructors, organizers and volunteers. - Tennis Events: Your organization’s staff and pros can take advantage of specially priced tennis travel package. Destinations include the four Grand Slams, Davis Cup and Fed Cup event. Receive the High Performance Coaching E-Newsletter automatically. This e-newsletter provides you with the latest coaching and sports science information, as well as information about advancements in coaching and certification programs. Receive an attractive certificate with your organization’s name to show you are a proud member of the USTA. These are sent once a month via email to new members & renewals. Receive an annual, commemorative US Open poster each year that your membership is active. Click here to sign up your Organization now. Already a Member? Click here to renew your organization’s membership. Member benefits and offers only available to active USTA members in good standing. Terms of membership and benefits subject to change in the USTA’s sole discretion. Other restrictions may apply. USTA membership is not transferable. Please contact memberservices@usta.com with questions. * $10 of all membership dues is allocated for a 1-yr subscription to TENNIS Magazine for USTA members over 18 years of age for each year of membership. For members 18 and under, or junior memberships, $10 of all membership dues is allocated for a 1-year subscription to SMASH Magazine for each year of membership. The amount allocated is not deductible from membership dues.